VACAVILLE — The “alpcalypse” has come and gone, despite the blood moon. At Menagerie Hill Ranch, located on the outskirts of Vacaville, a steady stream of people dropped by Saturday and Sunday to celebrate National Alpaca Farm Days. Guests were allowed to pet the animals and pose for pictures with them. Tao Feng and Vivian Liu traveled from San Lorenzo to be part of the event. She and Feng made the trip after seeing a Facebook link about the event. “It was worth it,” she said of the drive. 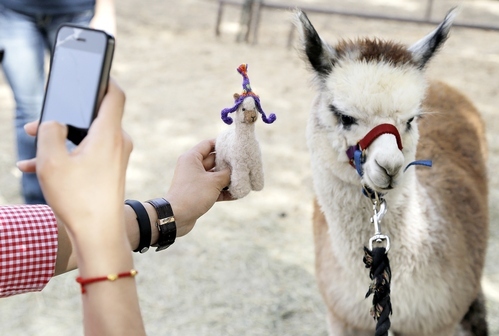 In countries such as China, Liu explained, alpacas are uncommon. To see the animal one usually must go to the zoo, she said. “You can’t touch them (at the zoo),” she said. Feng explained the word alpaca is often used in a negative way toward the chief executive, similar to a president, in Hong Kong. Savannah Shired-Scrivani, 17, said she loves all animals, except cats. Alpacas have an extra special place in her heart. Her mother, Deborah Shired, explained that her daughter fell in love with a stuffed animal made from alpaca fiber. 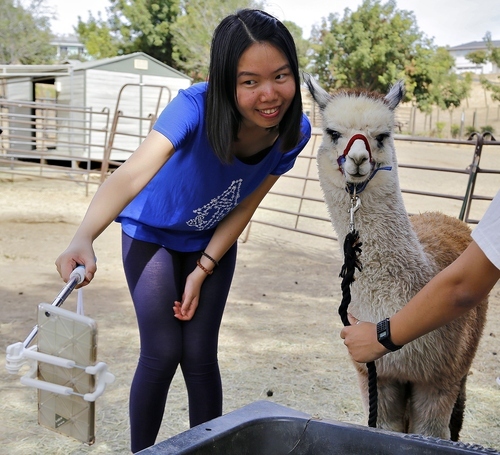 The event also offered the chance for some University of California, Davis students to get some hands-on experience with the alpacas. Marisa Riordan was one of them. Through her volunteer efforts she learned a lot about the animal from their diet to how to handle them. Her career goal is to become a small animal veterinarian. Galway and Howard raised their children on the ranch and were involved with programs such as 4-H. Their children raised sheep, goats, pigs and cows. When it came time to think of retirement, Galway contemplated what animals she would like. Today, the ranch is home to 28 alpacas, including one well into her 20s, who is still having babies. 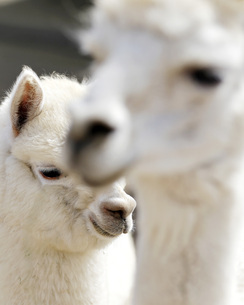 Five of the alpacas were born this year, including the son of a mother called Music. The boy hasn’t been named, yet, but Savannah suggested Notes. Galway promised to give the moniker some thought. 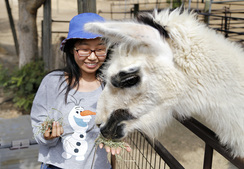 Richard and Margaret Byas and their daughter Ava, 3, enjoyed hanging out with the alpacas. It was the first time family members got up close and personal with the animal, he said. Galway and Howard shear the alpacas once a year. They also use them for breeding. There has been an increase in people wanting them as pets. That was what Savannah had in mind. They are not suited for backyards, Galway said, adding they need more room to roam. 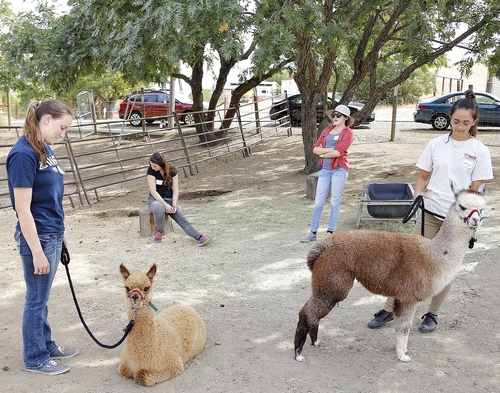 The couple has opened their ranch for several years in celebration of National Alpaca Farms Day, Howard said. Last year, the event was posted on a Chinese website and drew about 1,000 people to the ranch, Howard said. Liu and Feng posted their pictures before they left the ranch, and linked them to other alpaca sites Asians visit, they said. The ranch’s website is www.menageriehillranch.com. Reach Amy Maginnis-Honey at 427-6957 oramaginnis@dailyrepublic.net. Follow her on Twitter at www.twitter.com/amaginnisdr.